If you are on this page of our website it is very likely that you or someone you love is in deperate need of assistance. You probably need an air ambulance Mexico. Most of us will never need to know what an air ambulance is in our lifetime, or ever use one. Those of you that need an air ambulance are usually in need of emergency medical transportation back to the United States immediately. Therefore we want to make sure you have our contact information imediately. You can fill out our contact formon our website and we will respond to you quickly. You can also call us directly. When you need an air ambulance Mexico, there is no better company to call than AC Global Medical Transports. The owner and operator of our company Milan Floribus has over 15 years of experience in the air ambulance trade. He owned and ran the operations for one of the most well respected air ambulance firms in the world for over a decade. Milan started AC Global Medical Transports once his last company was purchased. Milan felt that he was truly meant to run the operations of an air ambulance company so he decided to start AC Global Medical Transports. You will not find someone who is as skilled and well respected in the air ambulance field than Milan Floribus. Choosing the right air ambulance company needs to be a rapid and careful decision. We have extensive experience bringing United State citizens back to the US from Mexico. Our company knows all of the documentation we will need to handle. AC Global Medical Transports can expedite the process and get you or your loved one back to the US and in the proper medical care quickly. Please do not hesitate to call us if you need an air ambulance Mexico. Our company travels to all parts of Mexico. 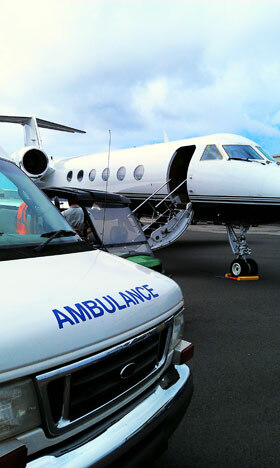 AC Global Medical Transports also handles air ambulance services from Canada to the US as well. We look forward to helping you or your loved one get back to the US safely and quickly. The Learjet 31 is Here!